For use with 16mm A58 copper staples. 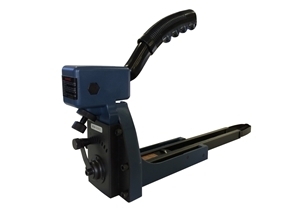 This heavy duty manually operated stapler is designed to staple the top of a carton box closed. The depth and shape of the staple can be adjusted to achieve many different results from fully closed to simply tacking the carton. The staples are difficult to remove without causing visible damage to the carton making it ideal as a tamper proof solution. Full range of spares available.